A kaleidoscopic family saga told through the fractured lives of the three Moreau siblings, alongside a faltering, recovering love story, The End of Loneliness is a stunning meditation on the power of our memories, of what can be lost and what can never be let go. 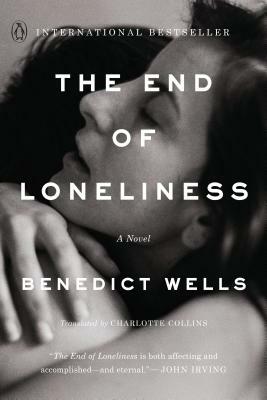 With inimitable compassion and luminous, affecting prose, Benedict Wells contends with what it means to find a way through life, while never giving up hope you will find someone to go with you. Benedict Wells was born in 1984 in Munich. At the age of six, he started his journey through three Bavarian boarding schools. Upon graduating, he moved to Berlin, where he dedicated his time to writing. In 2016 he won the European Prize for Literature for his third novel, The End of Loneliness, which remained on the German bestseller list for over a year. After years of living in Barcelona, Wells has recently returned to Berlin.